Hey all you busy moms, we know you don't have hours to spend at the spa but that doesn't mean you can't take a few minutes to paper yourself once in awhile. 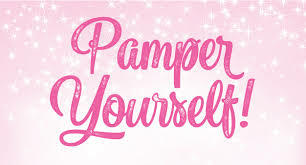 Everyone, including busy moms, need to take some time to pamper themselves every now and again. After all you need to take care of yourself in order to be able to take care of others. Have a mom's lunch out once in awhile. Get together with friends and relax while dining. If babysitters or money is in short supply take turns hosting the mom's lunch and maybe some older siblings can help keep an eye on the little ones. If you have children that nap don't be afraid to use that time to take a nap yourself once in awhile, or even all the time if you need it and can get away with it. On the occasions when you are going to get your hair done or a manicure make sure dad is home to watch the kids so you can really enjoy the pampering. Trade babysitting with a friend in order to give you each a night out with your husband. After the kids are in bed forget the laundry and dishes once in awhile and take a long hot bath if you want. You can even throw in some homemade bath salts or bubble bath if you like. Treat yourself to a homemade facial occasionally. You can easily mix one up with the ingredients in your own kitchen. Here is one of my favorites. I take a tablespoon or two of honey, mix it with 3 or 4 tablespoons of oatmeal, then I add in the ripest banana I have and bingo I have made my own homemade beauty recipe that makes my skin look and fell great. (It lasts about a week in the fridge by the way). So go ahead and indulge yourself a little bit occasionally, you will be a better mom for it.